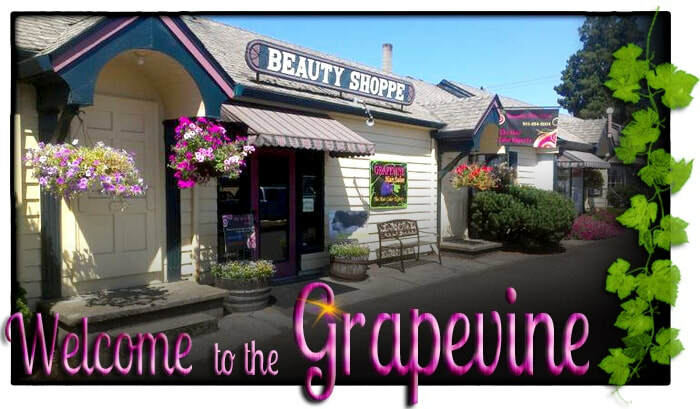 Thank you for visiting Grapevine Hair Salon, a friendly neighborhood salon, that has been serving the Pacific Northwest in the Oak Grove area of Milwaukie for over 30 years. Come visit us today! Updated, remodeled and revamped, the Grapevine Hair Salon is here to suit all of your hair needs with knowledgeable hair stylists and a friendly atmosphere. We are currently in the process of expanding, so stay tuned for more offerings. A great hairstyle can mean the difference between feeling ordinary and extraordinary. Let us here at the Grapevinehelp you to feel extraordinary! ​Mon: 10:00 a.m. - 5:00 p.m.
Wed-Sat: 9:00 a.m. - 6:00 p.m. Early morning or evening appointments available upon request. ​Come and see us soon! Feel free to show us your support with a "Like" or comment. Come support your local small business.